I have had a very busy day filled with cleaning and organizing. All in an effort to cross things off my gnarly to-do list. I was happily crossing off and then I came to "Finish Math posters" and ugh... I really had to force myself. I have been working on these for a little while and I have even deleted and started all over once or twice because they just didn't look right. I am pretty happy with the final product and can't wait to print these babies out and hang them up tomorrow for my thirdsters. Click HERE to get your posters! Don't forget to let me know what you think. Toodles! TAG! You're It! Head over to check it out! These are adorable!!! So glad I saw them on Pinterest :) Have a great night! Tag! Come on over and check it out. You it...you can get details at prayteachlove.blogspot.com. What a cute blog!! I am your newest follower! Come check out my giveaway!! The posters look fabulous! I am a new follower! These posters are super cute! :) Just found your blog. The posters are super cute! 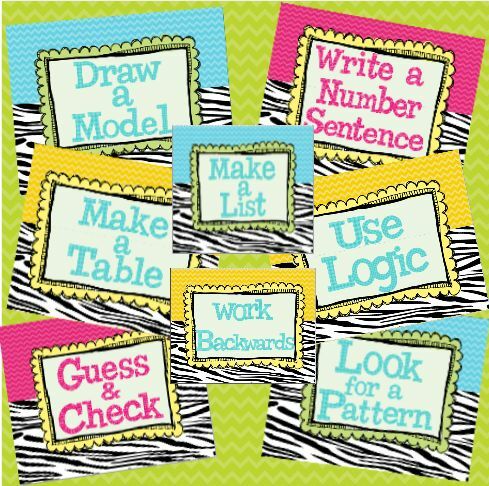 This will be a great help for my kids that having a problem in math. I have tagged you on my blog with 10 questions, and I am anxious to hear your responses! Just found your blog - love! I am a new blogger and would for you to check me out too sometime! 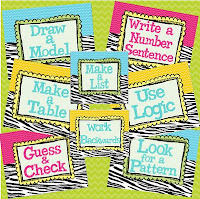 Daily 5 Work on Words... and freebies!